In all fairness and unbelievably we didn’t lose electricity once during the 45 mph north easterly winds from the continent, we were all waiting for it with baited breath! We also didn’t have any guests booked to stay in the holiday cottages cancel. We kept them all updated and credit to each and every single one of them they all made it down the A12 and into Dunwich without any problems at all. 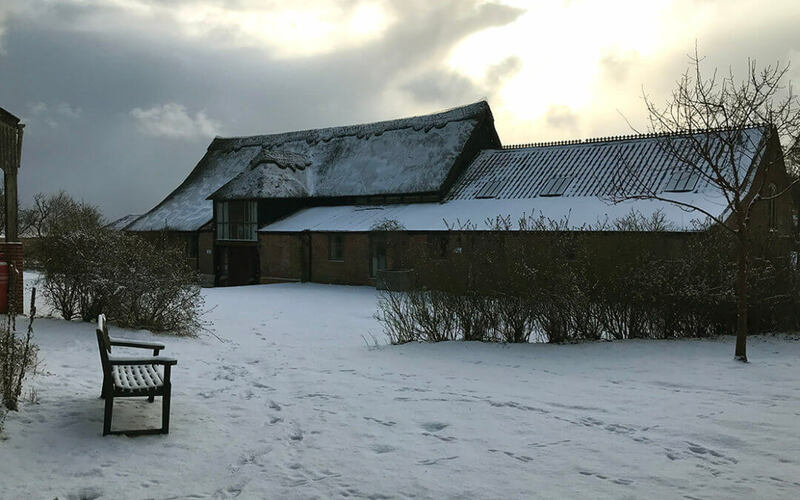 I have to admit that for the first couple of days I was in awe of how stunningly pretty the white stuff made the cottages and the surrounding area look. However, by day 3/4 we were all very much over it! The ponies were fed up of being in their stables and I think we all very much had cabin fever and had a massive urge to just be able to leave the house. A slight plot twist is the fact that I actually had to ditch my car in Norwich and be rescued by my brother in a 4x4 because I tried to get through in a Mini Cooper – massive error on my behalf there. It was also the first time we have EVER closed the Tearooms due to extreme weather. We took the decision that it was simply too dangerous to ask staff to come into work and we also couldn’t get out to get supplies in nor were any of our trusty suppliers delivering so for one weekend at the start of March we were closed.